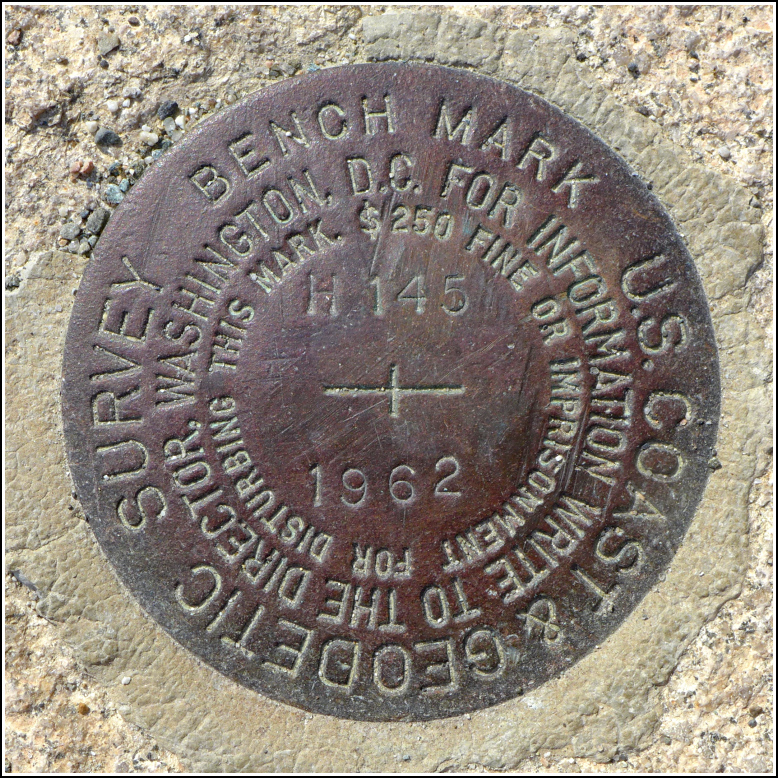 This mark was another easy find on our benchmark tour of the western side of MDI. 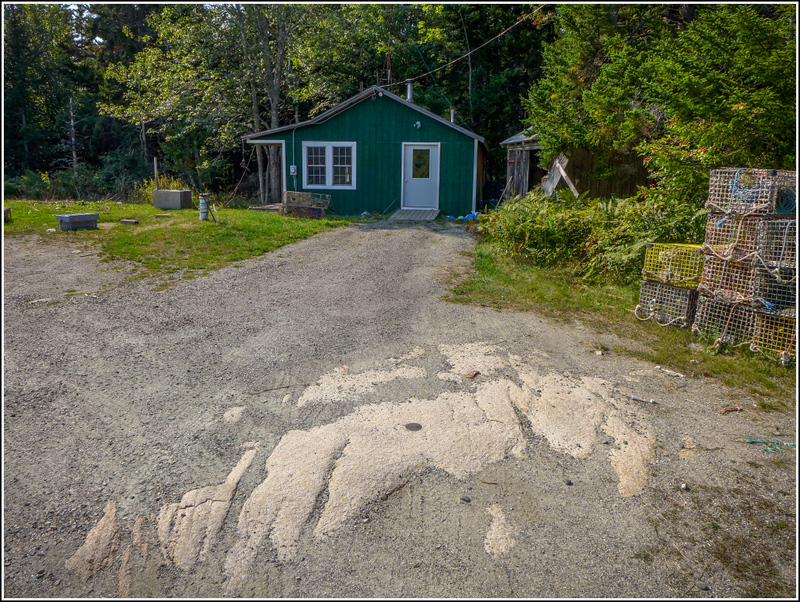 It's set into a bedrock outcrop nearly flush with the ground just across Route 102 from Tinker Brook Lane. There appears to be some kind of business on the property. but it doesn't have any signs or identifying marks, and no one was there on the day we visited. The disk is in good condition, although it is probably driven over frequently. I wouldn't be surprised if this mark ends up covered over by debris/mud/gravel/sand after a heavy storm just because it is so close to the ground. Recovered in good condition. Outcrop is nearly flush with the surface of the ground.